Below, you'll find information that will help you get to know me better - references from my past clients. Call Sandy Pon and let's move on! 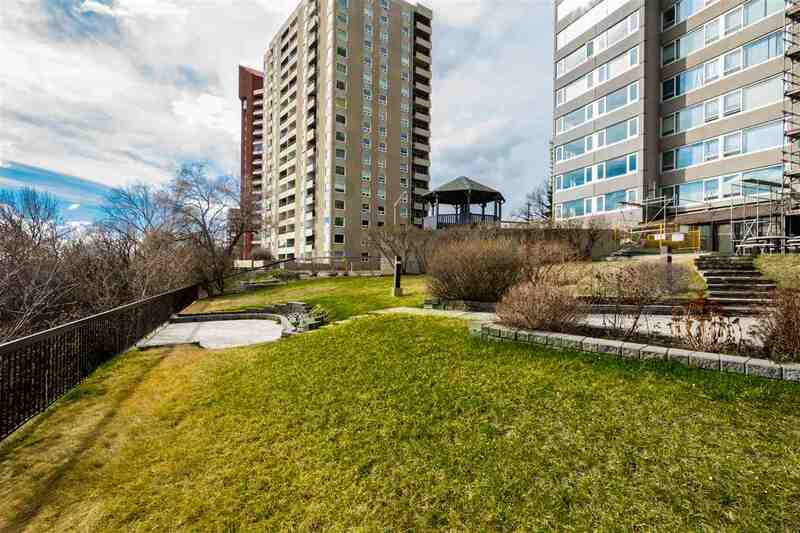 "As a new resident to Edmonton looking to buy a new property, I contacted Sandy Pon. She responded immediately providing me with a printout of selected properties based on my needs and desires. Once I reviewed the properties, Sandy quickly set up viewing dates and always accommodated my tight schedule. The best thing that Sandy did for me was to steer me away from a property that had problems, and she knew that I would be making a bad decision if I purchased. Eventually Sandy found me an amazing property that was perfect for my needs. Her honesty and integrity as an Agent are exceptional - I have purchased some properties in the past and have never had such a positive experience. My interaction with her, as a new resident, made me believe that Edmonton is a great place to live!" "I have referred, without hesitation, many of my friends and clients to Sandy over the last 15 years. She is a first-class knowledgeable, extremely aggressive and professional realtor - plus a sincere and warm individual. It is truly an honour to be one of Sandy's referral/relocation contacts." "Sandy always recommends a home inspection because she doesn't want her buyers to purchase homes with problems. She is truly a professional." "Sandy helped find the "perfect" place for me. She took the time to fully understand my needs and wants - and then with guidance and vast knowledge of the Downtown area - found it. I was most impressed with her patience - in the weeks it took to find this gem for me - I never felt pressure to "pick one". She even steered me away from a couple of "mistakes" because I was going to settle. I think she would have gone on forever - until I was happy. And I am thanks to Sandy. I now not only call her the best Realtor in town - but also a very good friend. Thank you Sandy for getting me this far!" Annette has found true love and had to follow her heart to Europe. Sandy was called to sell the property she helped her buy. Sandy delivered the sale to Annette on Valentines Day. Annette was swept away 30 days later. Remember there is no place like Home. Sandy Pon and her staff wish Annette and Kees all the Best! "We had our condo For Sale By Owner and Sandy was able to close the deal with two of her clients. We are very pleased with all aspects of the sale. We then had to sell another property with certain requirements attached. Sandy sold the property, closed the deal and dealt with all our specific needs in a very professional and diplomatic manner. Again, we were very pleased with the way the sale proceeded and thanks to Sandy and her staff for all their assistance. We would not hesitate in using Sandy's services again or in recommending her to our friends and family. Thanks again for all your assistance." "I had my house listed for eight months with no serious offers. That's when I called Sandy to help me sell. I received two offers and got a successful sale. Also during the time my home was on the market she worked with me to find a suitable replacement, with which I'm quite satisfied. Overall, Sandy was professional, knowledgeable, and direct in giving solid advice, making sure everything was understood up front to save time later. Anytime I have real estate needs, Sandy is the one I turn to first." Gary enjoyed his Downtown condo for more than three years - loved the lifestyle and the convenience to his office. Then he met the most wonderful and beautiful lady. They tied the knot in June 2004 and also had to transfer. Just before the wedding, Sandy again sold his property. Sandy also attended their memorable wedding. Thanks for allowing us to serve you and share your special moments. Sandy and her staff wish Gary and Linda all the Best! "When we moved to Edmonton from WhiteRock, British Columbia, Sandy helped us find our dream house in record time. Three years later when we decided to sell, we entrusted Sandy to sell our home and were pleased with the results. We were impressed with her professionalism and extensive knowledge of the market - as both a buying and listing agent. She exudes high integrity and a genuine sincerity. We highly recommend Sandy, whose conscientious approach exemplifies a seasoned professional." "It's always good to know there's someone taking care of my clients just the way I would treat them myself." "Sandy Pon helped me buy 2 condos. I was very happy with her understanding and high efficiency. I will definitely refer her to my friends." " I have been transferred a lot in my job. When I moved from Winnipeg to Fort St. John, I didn't think I would move again. Then I was called to Edmonton. My realtor, who was selling my house in Fort St. John, referred me to Sandy Pon. They said Sandy is the best to deal with, in corporate relocation. They were right. She is quick to respond, highly knowledgeable and extremely efficient. She gave me the right advice to price my house to sell quickly in, what was at the time, a down market in British Columbia, so I could have the freedom to find any home I wanted in Edmonton. And best of all, Sandy not only found the oversized triple garage for my engine hobby, but she also got the home I wanted within my budget in a great area I didn't know existed. The house I bought from Sandy was not even on the market. It was owned by one of her customers. Who would have thought things worked out so perfectly all within a month's time. Her professional judgement and dedication to clients are exceptional. She's not just the greatest realtor, she is also a great friend." Freedom 45! Richard thrived with his enterprise which was once a hobby. He decided to sail and surf in the sun. To move to the coast, Sandy was called to sell his place. Sandy got Richard double offers and everything that he wanted in the sale. Timing couldn't be better. I Love My Business Thanks To You. Sandy Pon and her staff wish Richard all the Best! "I consider Ms. Sandy Pon one of of my most valued real estate colleagues. I respect her for her integrity, ethics, knowledge and enthusiasm for her work. She is most dependable and I recommend her highly for any of your residential or commercial needs." "Professional; Courteous; Caring,these are the natural traits for Sandy. People are successful for a reason. They work hard. Sandy Pon is my Realtor. It almost seems she has a sixth sense. It is because she spends time to ge to know you even with her busy schedule. She makes you feel like you are the only client she has. Buying or Selling a home is a very important life decision, Sandy makes it very comfortable and less stressful. Lets move on with Sandy Pon! I will always be a loyal client to Sandy." "I would strongly recommend you to consider Sandy Pon to be your real estate agent. Sandy is a compassionate, honest, and hardworking agent who values her clients and their needs. Without Sandy Pon, we may not have found our fabulous new Home!" "Thanks for everything, Sandy!...we are both very happy... You have been fantastic and it has been a pleasure working with you and getting to know you. You are a role model for making every day count! "We were moving and we needed to sell our condo fast, so we called Sandy and she really delivered. She answered all our questions and she was pleasant to deal with. She provided regular updates even when we were overseas. In the end, she sold our condo within a month! Thank so much Sandy!" Transferred out of Edmonton and with Baby on the way. "When we were transferred from Spruce Grove to Calgary for work, we were forced to put our house up for sale in a very slow market. After 60 frustrating days, living in another city, with one offer that fell through, no feedback we turned to Sandy Pon. Sandy is an aggressive and truly competent realtor. She does not sit back and let MLS do all the work. Sandy Pon was able to price our home appropriately so that we could receive the money we needed to purchase a new home in Calgary and still achieve a quick sale. The virtual tour of our home truly highlighted our house and even showed off the great neighborhood we lived in. Sandy's communication is second to none with immediate response to our phone calls and an email every time she had a showing on our home (which was daily). Our home sold in 6 days. This is where we witnessed Sandy at her best. During the negotiation process Sandy was able to give us advice and did a lot of preliminary work to ensure that our house received its promised value. Once the home was conditionally sold Sandy did not send us on our way with a list of tasks. She followed up and offered to make telephone calls on our behalf to try to expedite the arrival of needed documents. Always with a smile on her face, Sandy Pon had a magical way of making us feel calm even in the most stressful and helpless moments. We have recommended Sandy to many of our friends and family. The difference in service is one that just has to be experienced to believe." "A Trustworthy Realtor? That is Sandy Pon! We soon realized we had an excellent professional with a sharp eye for detail and accuracy in the real estate process. Sandy is very positive and confident lady who will present your home to serious buyers. We got a serious offer in 4 days of showings! She kept us informed and in close communications at all times. 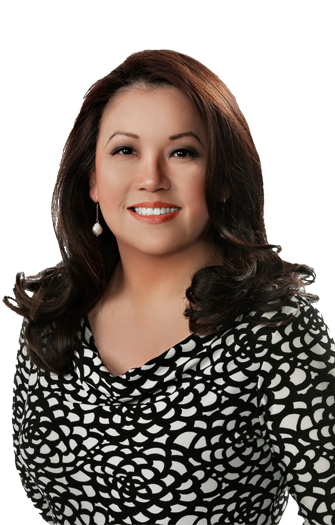 We are very happy to know Sandy and she is simply TOP NOTCH in Real Estate." "Sandy helped us sell our cabin this past summer and we would not hesitate to use her as a realtor again. She is professional, air, with a lot of patience and has a great sense of humour. We would definitely refer her to anyone who wants to sell their property." "We are absolutely delighted with the results of Sandy's professional services as our realtor. With the obstacles of a flooded market, 21 units for sale in our complex and a major obstacle due to condo upgrades, Sandy listed our property and within 2 weeks it was sold! To add to these obstacles Sandy also had to deal with two sellers that live in different provinces, yet she still managed to make the sale in a timely manner. Sandy also went above and beyond in assisting us to secure living arrangements while preparing for our move overseas. Sandy did an amazing job representing us and we would highly recommend her if you are looking to buy or sell property in Edmonton!!" "Sandy Pon is a dynamo. She is an energetic, highly competent realtor who gets the job done. Just don't look elsewhere, retain her services if you are buying or selling the property. I interviewed a number of realtors, and I knew she was the one as soon as I met her. Her personality and energy are electric and captivating. She made a stressful time even enjoyable, knowing I was in capable hands. I was under an extremely tight selling timeframe in a changing market and risked losing out on an important investment opportunity when she not only delivered a pre-approved buyer but also attended to my needs while I was in another country for lawyer and closing. With her attention to every detail, she even took care of my aquarium as I could not import my beloved fish to my new home. I will continue to call upon Sandy for her advice and assistance even if no longer in the Edmonton area, as her professional relations extend far and I trust her. Most appreciated was the fact that she did not treat me or my home in a cookie-cutter manner. She immediately highlighted what made my home special and did not try to get me to conform to some standard look, which time just would not have permitted in any event. She showcased my home, not a cold, staged shell, proving that with the right realtor, you do not always need to hide away or store everything that makes a home."